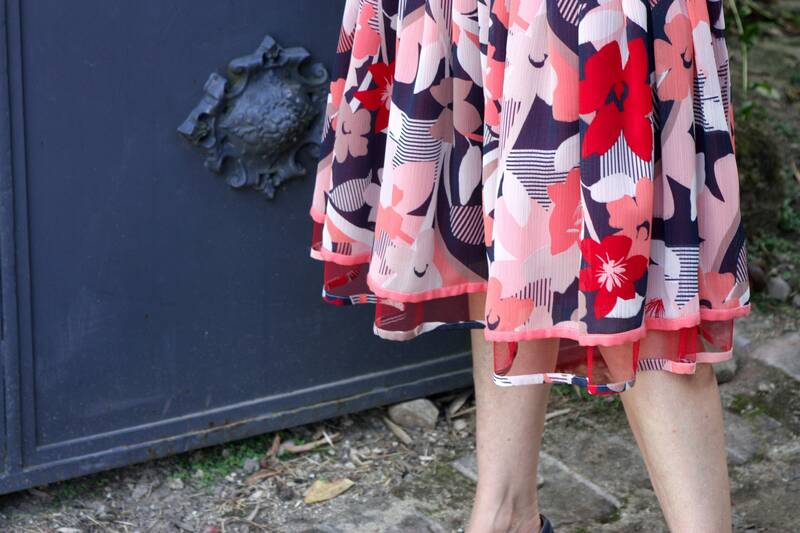 "New Fifties skirt" made of Viscose lined with a bias sail pink. Lined with a red Tulle giving it volume and lightness, bias tonal with floral patterns. Either 3 fabrics that overlap. One size fits from 36 to 40, unique piece. 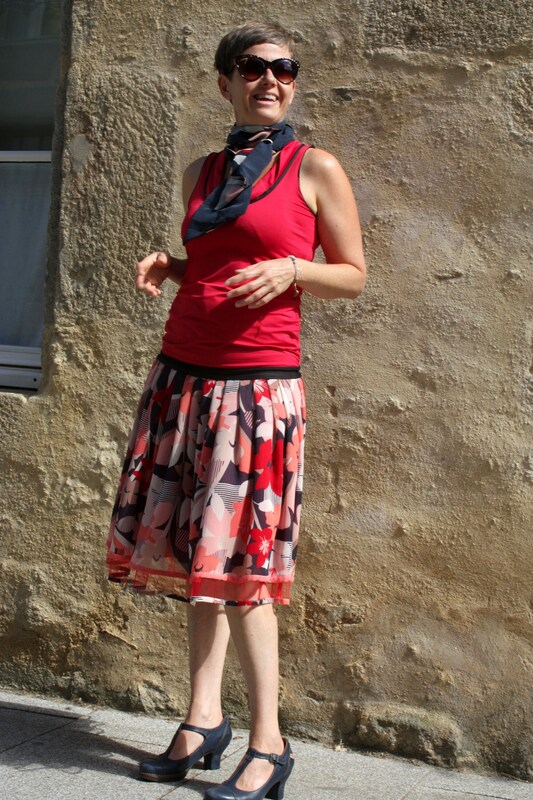 The skirt can be worn at different height, depending on her size, high waist / low waist.